My interest in corn extends to all forms of corn: field corn, sweet corn, and, of course, popcorn. In my book, there is a more detailed history of popcorn (which was actually the first kind of corn to evolve but the last to reach us in North America), but I also enjoy some of the whimsical aspects of popcorn. 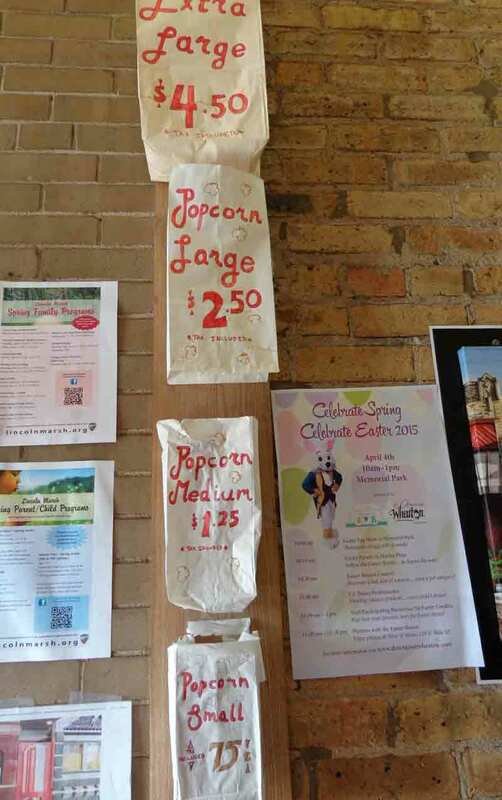 For example, the Little Popcorn Shop in Wheaton, IL. The Little Popcorn Shop began selling popcorn in 1921. It has, in the nearly 100 years since it opened, become a Chicagoland icon. The shop was once merely an alley between two older buildings, until a gentleman named E. Claire Brown decided that it was the perfect location for selling popcorn and candy. The alley, which was only 49 inches wide but 60 feet long, was roofed over and named the In-Between Shop. 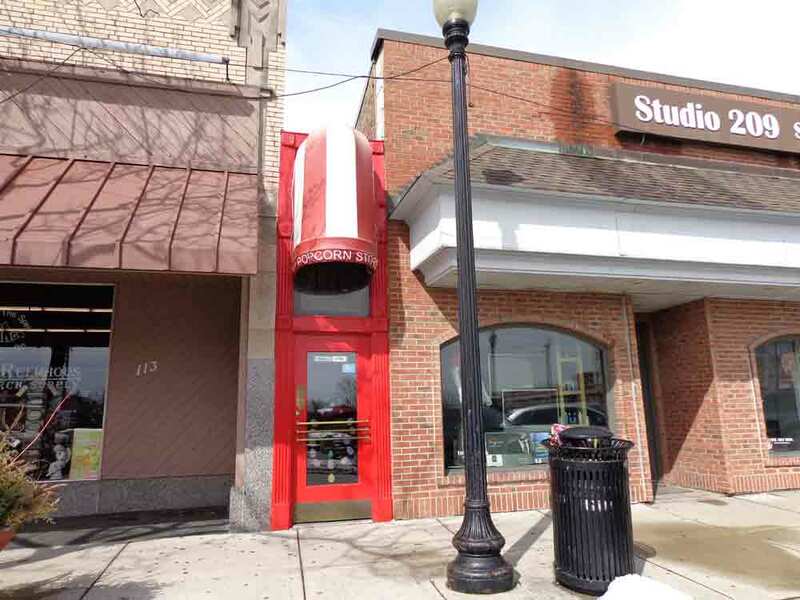 The shop changed hands, as well as its name, when Brown died, but the Little Popcorn Shop still focuses on buttered popcorn (freshly popped throughout the day) and old-fashioned, dime-store candy. It is also still only 49 inches wide. Fans are numerous and faithful, and delighted that the shop hasn’t changed. It’s easy to see how the shop got it’s first name—the In-Between Shop. 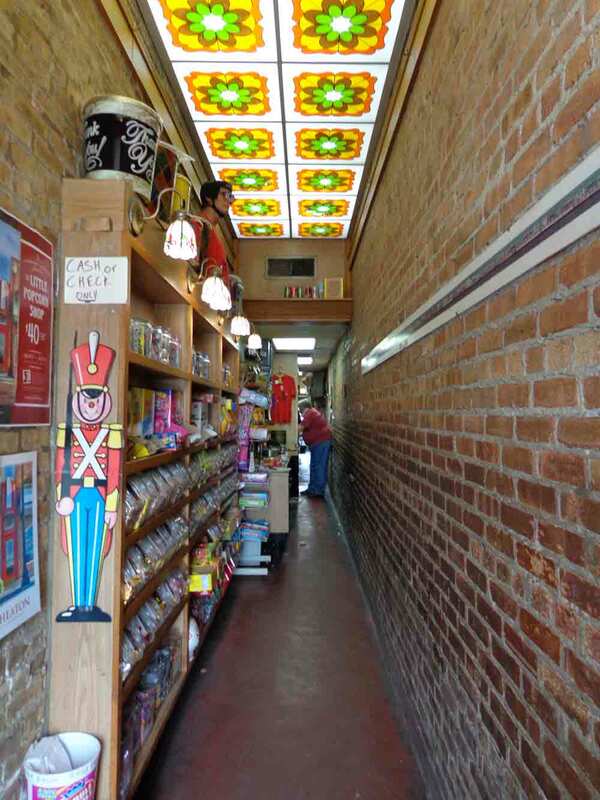 In this long view of the narrow store, you can see the racks of old-fashioned candy and, at the back, the shop’s owner Bill Wakefield, who is, as usual, popping up fresh, fluffy popcorn in the store’s old poppers. You don’t have to wonder what size bag you’ll get when you’re ordering.